Governor Seriake Dickson of Bayelsa State and former governor of Delta State, Chief James Ibori, weekend, reaffirmed their commitment to a referendum in the country, with the interest of the people of the South-South region an vital part of the discourse. 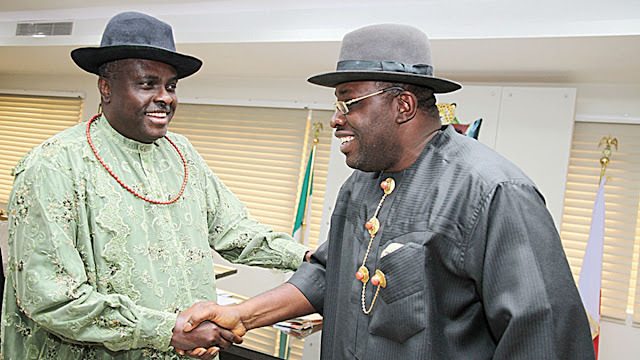 Ibori and Dickson, who spoke at Patani, Delta State, during the conferment of chieftaincy titles by the Pere of Kabowei Kingdom, HRM Erebelu Shedrack, Aduwo III, on subjects within and outside the kingdom, noted that the interest of the region was paramount to them. According to Ibori, “as you all know, I am almost a retired politician now.